Do you keep running into obstacles when sourcing products from China? Do you keep banging your head against the wall thinking there must be a better way when importing? We know what it’s like, we’ve seen hundreds of clients in the ecommerce industry (including FBA sellers) as well importers selling via traditional channels or importing raw materials struggling and we’ve helped dozens of them save time and energy by soliciting our expertise. Our China Import Consulting service is designed specifically to deal with these issues. We’ve seen many importers try and do it themselves and they often find their sunk costs skyrocketing. When you work with us, you have the opportunity to learn alongside us without the risk of making a mistake. *The services mentioned above are part of the 360° Sourcing Process, not of the China Import Consulting Service. If you are finding yourself with any of these issues, know that we are here to help you, and we’ve nailed the process to do so. Quality Disputes: my inspection has failed and the supplier refuses to rework the goods, what do I do? Financial Disputes: my supplier has gotten my advance and now wants to raise the price, what should I do? Logistics Disputes: my goods are held by customs and the supplier cannot provide the documents required to release them, what are my options? Who are the right suppliers to work with? How can I tell the difference between quality people and the pretenders? Why do these English-speaking suppliers not seem to understand me? How do I get samples; and how many suppliers should I seek samples from? How do I know if suppliers certificates are genuine? How can I ensure quality of the final goods? How do I ensure the final goods meet the quality of the samples I received? How do I know which inspections (such as pre-production or DUPRO inspections) are appropriate for my products? When should I pay for higher time efficiency? When is the tradeoff worth it? How do I know which logistics to adopt, at which period of the year? Why do I use such basic tools to communicate with my important partners? Payment issues: Whether to use TT or a letter of credit? Minimum Order Quantity (MOQ). Is it negotiable, what if I can’t meet the minimums? Shipping: air, sea, who pays, and what about insurance? If you need help with one of the issues above, please contact us to book a consulting session. Whilst we can help you on an ad hoc basis if you have a pressing issue, we do our best work when providing the 360° Sourcing Service. We will analyze your importing business model — see where you can cut costs, improve efficiencies, and target new opportunities. IMEX Consultancy Service allows you to set the agenda. You decide what we’re going to cover. What’s important, critical, and pressing to you RIGHT NOW? Think of our service as your ‘consultant on call’. Some clients keep a rolling list of procedural or operational questions concerning importing. When they have several questions they need handled, they simply schedule a call and we tick the list off, one by one. We help you address these problems by providing for one-on-one advice on importing issues. The consultation can be delivered in person, on the phone or via Skype. Our China Import Consulting Service is charged on an hourly basis. Please contact us to get all the details. Ashish started off his career in International Trade as an importer, importing products into the UK from China and selling through e-commerce ventures. After over 5 years of doing so, Ashish moved to China to set-up IMEX Sourcing Services. 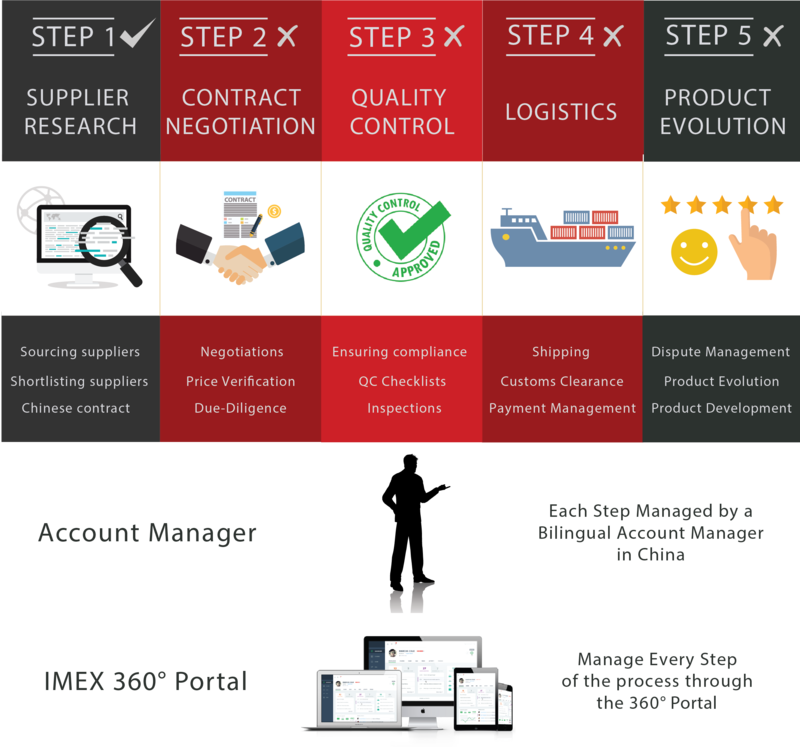 Over the last 6 years, IMEX Sourcing has helped clients source hundreds of products from China safely and with high compliance standards. Consult with a local expert today!